Intricate vines and leaves interlace gracefully to form this signature ring. Vine rings are available in various sizes. Each size vine ring is a unique design. 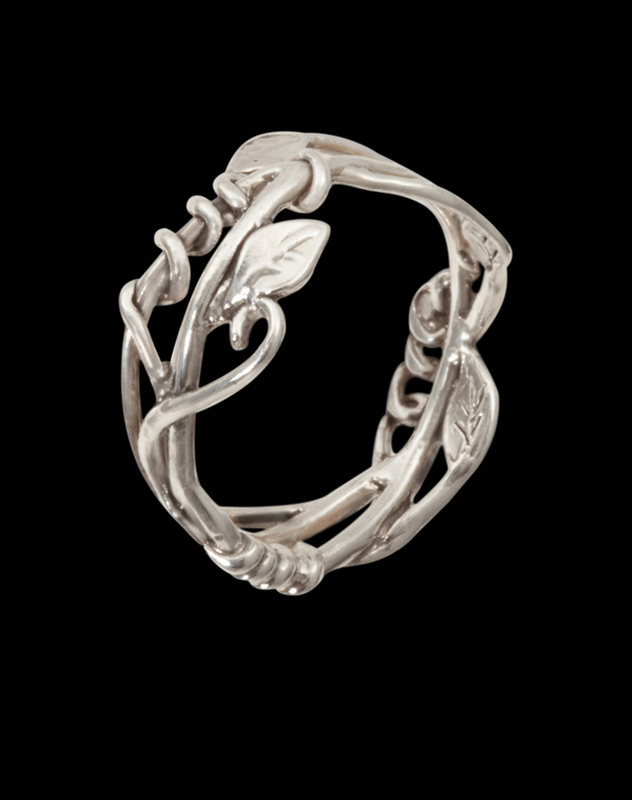 This ring is a great match with vine and leaf earrings and pendants.